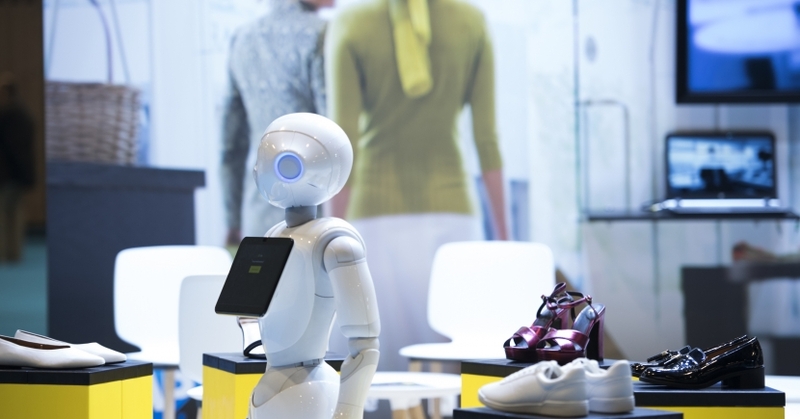 A host of promising start-ups will showcase their state-of-the-art retail solutions at Paris Retail Week's Start-Up Area. Enjoy a sneak preview of a selection of young businesses which you can meet between 10 and 12 September next at Paris Expo Porte de Versailles (Pavilion 1). Wassa develops digital solutions integrating artificial intelligence and machine learning. Our Innovation Lab works with camera-extracted images and analyses data to propose bespoke services. The challenge, in particular for retail players, will be to collect a new type of shopper-related data and link it to shopping data in order to optimize customer knowledge and experience. ARMIS digitalizes local communication for physical brands to boost in-store traffic via Internet. It intends to provide all physical brands with cutting-edge solutions to capitalize on their local customers and, as such, to compete effectively with Web giants like Amazon. To achieve this, the company has developed revolutionary technology known as "Multilocal Advertising" which focuses on geo-targeting, programmatics and artificial intelligence. Moonshot-Internet is an Insurtech which develops usage-based insurance products and services dedicated to E-Commerce. Our products are all API-accessible. We believe insurance and services should be: easy-to-use, useful and accessible to everyone. ortakalan.com.tr etnikmarket.com.tr turkishretailequipments.com and fmcgturk.com. Lefty has invented a one-of-a-kind approach to help brands create and roll out winning influencer marketing strategies. Strategy: Lefty analyses the competition for a brand on its target markets by measuring share of voice and EMV (earned media value). Lefty uses this data to propose strategic recommendations for investable markets, influencer typology, activation types and highlights to be implemented. Transactions: Lefty offers brands an across-the-board platform for managing influencer relationships. This platform can be used to identify relevant influencers among some 6 million profiles, to exchange with them and to perform automatic reporting to assess campaign impact. Lefty will present its solution at Paris Retail Week. Visit us on our stand to find out more. Influans defies traditional Marketing paradigms, enabling any brand to deploy Match Marketing through Ultimate Personalization. Powered by Big Data and Machine Learning, Influans’ cloud platform uncovers and analyzes implicit behaviors for each customer, triggering the most relevant campaigns: matching the right products, to the most appropriate level of incentive, through the right channel and at the right time. Ready to run in hours and easy to integrate, Influans maximizes CRM campaigns returns while reducing marketing fatigue. For more information, please visit influans.com and follow @influans on Twitter. NEOS is a mobile payment start-up. Our conviction: a payment app should be usable everywhere and should tailor itself to the shopping experience. Basically, the best way to pay when at a retailer's, a restaurant or the cinema is totally different. So, we started off by launching a Scan&Go solution for large retail outlets. Our app, demonstrated at the Grande Épicerie in Paris since last March, has been a huge success. Over the next few months, we're going to roll it out to other leading food and non-food chains, including Bio c' Bon and Sephora. What about e-commerce, is there anything new there? The number of e-customers is constantly on the rise yet there doesn't seem to be a solution which can totally fulfil delivery demands. Given shoppers' lack of experience, a rather unethical environmental footprint and facilitating last-mile operations, the time had come to find a solution! Netgobox, the 2.0 boutique, a physical, connected, centre-city point-of-sale for pure players. It offers your shoppers real customer service. From the act of buying to handling returns... everything's provided for! SkalUP is a spin-off company of the University of Namur. It develops AI-based software that facilitates sales and co-creation in B2B and B2C e-commerce. In the recommendation software market, SkalUP’s differentiation comes from its interactive approach, its unique technology based on 15 years of academic research and its ultra-customisation philosophy: customer-to-business. RETAIL VR develops 3D, virtual and augmented reality apps for the retail industry. Through its platform, RETAIL VR proposes solutions so that brands, distributors and e-retailers can offer their customers optimally-immersive, experiential shopping experiences across digital and physical channels. The 3D converter solution is designed to reduce 3D object production costs and the virtual retail solutions focus on increasing the conversion rate of on-site and in-store shoppers. RETAIL VR works hand-in-hand with leading brands and distributors in large-scale retail, fashion, DIY, pharmaceutics and household appliances and was voted one of the Top 5 most innovating start-ups by KPMG/FEVAD for 2018. Increase your sales while limiting your calls! In just 1 click, SnapCall replaces the phone numbers on your website and app with a smart call button. We offer you the first-ever solution which transfers customer data to you during the call. You answer your customers and use this call data to increase your qualified leads, to optimize your digital paths and to improve your conversion rates. Analyse your call flow and produce relevant data for your business. You'll take advantage of new Big Data by utilizing data before, during and after the calls. Come along and meet us... we'll be delighted to present you our solution and to give you a demo! Grow your business! Create a bespoke marketplace using our turnkey solution: Medialeads. Medialeads grows your e-business by developing a turnkey marketplace for you. Our digital solutions and our expertise in data management ensure your digital development will be highly-effective. Our teams work hand-in-hand with you from thinking up your project right through to its delivery to best understand your requirements and to provide you with a solution which optimally suits your core business. Our high-tech solutions are designed to provide the best response possible to develop your marketplace and your e-business. Data management: Our database management expertise means we can now manage your product base, index your products and roll them out across all platforms using our highly-efficient, tailored API. Marketplace: Digital e-business solution, Medialeads marketplace is designed with all your sector specifics in mind (Web-responsive, business requirements, etc.) as well as your marketing requisites. Akoustic Arts is a 2010-created company dedicated to directional sound. In 2018, we're launching the "A", our directional-sound speaker which emits a precisely-targeted sound beam, offering you the opportunity to broadcast all your audio content without causing any sound pollution; outside the beam: absolutely nothing! How is it perceived? Well, it's like being inside a 'sound bubble', or like wearing headphones. Our "A" speaker is designed to let you in particular multiply your audio content without causing any sound pollution, propose unparalleled scenography and enhance the experience in a place or of an object without extra noise, make information fully-accessible (e.g. signage for the visually-impaired and blind), and to offer an alternative to headphones (which can be broken, stolen, cause hygiene issues, etc.). Since January 2018, all French B2C companies are required to certify their transactions (invoices and credit notes). A new French law known as the "2018 VAT Anti-Fraud Law" or as "NF525 certification" is now applicable and tax audits are already underway. Kiwiz is a fully-autonomous transaction certification solution: no need to change your invoicing system, Kiwiz logs on to your online store and stores your data in the Blockchain. Magento, Prestashop, Drupal, etc. all CMS are compatible, even proprietary CMS. Avoid having to pay a €7,500 fine and certify your transactions using cost-effective Kiwiz. Fed up with "have-to-go" evenings? Tired of hearing: "It's the same thing year-in, year-out..."? Don't worry!! Laser Army, founded 3 years ago and already leader for in-store evenings, Revolutionizes the World with "Home" Animations! These futuristic animations will boost all your events, everywhere in France! Laser Army turns your store, your car park, your premises or outdoor spaces into a Giant Laser Game, a HoverKart racing track, a Virtual Reality room, and lots more! Everything's concocted for the best possible atmosphere: professional sound & light, accessorized, safe & secured recreational playgrounds. Custplace is a customer rating collection and management platform. Our software suite lets brands collect ratings at each step of the customer journey, 360°-publish certified ratings (on your site, top spots on search engines, on Google My Business as well as in French YellowPages) and totally control your e-reputation. Monitor key indicators with our bespoke dashboards. Take action as soon as weaker cues appear. Easily manage responses and automatically moderate using our high-performance robots. Over 300 customers already trust us: Cdiscount, Oscaro, Cetelem, Schmidt, Compte Nickel, Optical Center, etc. 360°-publish certified ratings over all channels. Manage Google My Business and Yellow Pages ratings. Enhance performances with our robots. Channel complaints instead of dealing with consumer forums. With Custplace, grow your sales, turn your visitors into customers and boost POS traffic. Monitor your rivals' prices automatically! PriceComparator helps Management, E-traders and Brands analyse market prices more extensively, faster and more reliably. Are profitability and pricing effectiveness your core concerns? We help you on a daily basis to adopt the best price strategies. Netlinking.fr, is THE link purchasing platform designed to simplify digital marketing and SEO professionals' life! The stronger the Semantic Proximity between 2 sites, the more integrating links boosts a site's credibility as regards its topics in search engines. This is why we propose (and will continue to propose) ad banners in your site's topic, using an exclusive algorithm to calculate Semantic Proximity between sites. Our catalogue contains over 3,000 real sites, including 2,000 which are netlinking.fr-exclusive. Because professionals need to know upfront the prices of products they purchase and/or sell, all our links can be purchased for a fixed price, regardless of site metrics. The rich variety of our catalogue along with our teams' production capacity mean we can guarantee you links every month for your topic. You only need to configure your campaign once and you can rest assured you'll have the right links every month, without ever needing to make searches or negotiate!